I am undecided wheter or not the Milky Way​ is but one of countless others all of which form an entire system. Perhaps the light from these infinitely distant galaxies is so faint that we cannot see them. 1493 Columbus set sail on his second voyage to America. 1513 Balboa discovered the Paciﬁc. 1825 Carl Harald Cramer,(25 September 1893 ,5 October 1985) was a Swedish mathematical statisticians and is one of the prominent figures in the statistical theory. He was once described by John Kingman as "one of the giants of statistical theory". where pn denotes the nth prime number, O is big O notation, and "log" is the natural logarithm. Intuitively, this means the gaps between consecutive primes are always small, and it quantifies asymptotically just how small they can be. This conjecture has not been proven or disproven. 1852 Christoph Gudermann (March 25, 1798, September 25, 1852) was born in Vienenburg. He was the son of a school teacher and became a teacher himself after studying at the University of Göttingen, where his advisor was Karl Friedrich Gauss. He began his teaching career in Kleve and then transferred to a school in Münster. He is most known today for being the teacher of Karl Weierstrass, who took Gudermann's course in elliptic functions, 1839–1840, the first to be taught in any institute. Weierstrass was greatly influenced by this course, which marked the direction of his own research. Gudermann originated the concept of uniform convergence, in an 1838 paper on elliptic functions, but only observed it informally, neither formalizing it nor using it in his proofs. Instead, Weierstrass elaborated and applied uniform convergence. 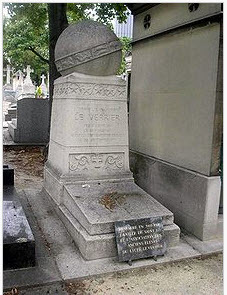 1877 Urbain-Jean-Joseph Le Verrier (11 May 1811, 25 Sep 1877) French astronomer who predicted the position of a previously unknown planet, Neptune, by the disturbance it caused in the orbit of Uranus. In 1856, the German astronomer Johan G. Galle discovered Neptune after only an hour of searching, within one degree of the position that had been computed by Le Verrier, who had asked him to look for it there. In this way Le Verrier gave the most striking confirmation of the theory of gravitation propounded by Newton. Le Verrier also initiated the meteorological service for France, especially the weather warnings for seaports. *TIS (He died the day after the anniversary of the sighting of his most famous prediction. Between that moment of fame in 1846 and his death, he mistakenly attributed the variability of Mercury's orbit to another small planet he named "Vulcan". It took the theory of General Relativity to explain the variations. He was buried in Montparnasse cemetery in Paris. 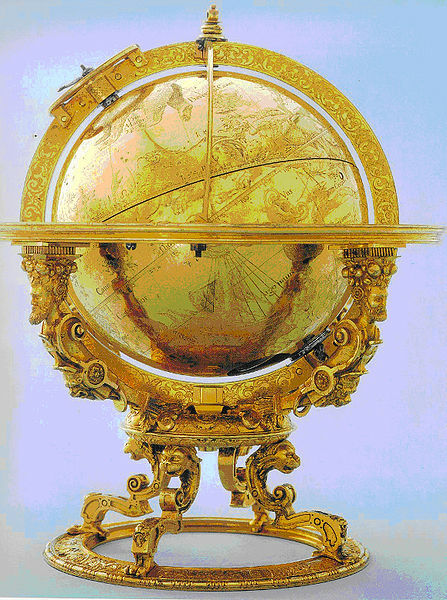 A large globe sits atop grave. Arago described him as, "the man who discovered a planet with the point of his pen." 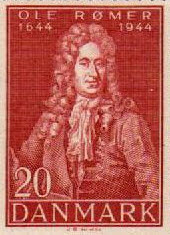 Scipio Ferro of Bologna well-nigh thirty years ago discovered this rule and handed it on to Antonio Maria Fior of Venice, whose contest with Niccolo Tartaglia of Brescia gave Niccolo occasion to discover it. He [Tartaglia] gave it to me in response to my entreaties, though withholding the demonstration. Armed with this assistance, I sought out its demonstration in [various] forms. This was very difficult. 1846 Neptune First observed… “Just after midnight on September 24th of this year, Neptune will be exactly 165 earth years older. It was on that date, back in 1846, that German Astronomer Johann Galle, assisted by graduate student Heinrich Louis d’Arrest, trained the 24 centimeter (9 inch) Fraunhofer Refractor of the Berlin Observatory on a patch of sky near the Aquarius-Capricorn border (see illustration below) and observed the small, blue disk of Neptune. On July 12th of this year, Neptune completed exactly one orbit since its discovery. 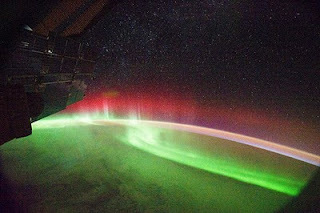 One hundred and sixty five years ago a series of events played out in France, England and Germany that would culminate in a watershed moment in the history science and astronomy, a discovery that would prove to be unique and unrepeatable. These events were rife with centuries-old rivalries, political conspiracy and intrigue, all mixed together with good mathematics, some good science, some bad science, some luck and much mayhem.” more of this interesting story from Tom Madigan’s website. 1891 William F. Friedman (24 Sep 1891; 12 Nov 1969) one of the world's greatest cryptologists, who helped decipher enemy codes from World War I to World War II. He was born as Wolfe Friedman.in Kishinev, Russia. He emigrated to the U.S. in 1893. Originally trained as an agricultural geneticist, he had become interested in cryptology. During World War I, with his wife Elizebeth, he set up a cryptology school for military personnel, which led to appointment by the U.S. as head of the Signal Intelligence Service (1930). He broke the Japanese "Purple" code (1937-40), thus allowing Americans to read much of Japan's secret messages during World War II. *TIS There is a bust of him at the National Cryptologic Museum in Fort Meade Maryland on which he is identified as the "Dean of American Cryptology". There is an interesting biography here . 1896 Tadeusz Ważewski (24 September 1896 – 5 September 1972) was a Polish mathematician. Ważewski studied at the Jagiellonian University in 1914–1920. He started from physics but very quickly turned to mathematics. Ważewski was a pupil of Zaremba. He spent three years in Paris and got a doctoral diploma from Sorbona. 1054 Hermann of Reichenau (1013 July 18 – 1054 September 24), was a German mathematician who important for the transmission of Arabic mathematics, astronomy and scientific instruments into central Europe. Hermann introduced three important instruments into central Europe, knowledge of which came from Arabic Spain. He introduced the astrolabe, a portable sundial and a quadrant with a cursor. His works include De Mensura Astrolabii and De Utilitatibus Astrolabii (some parts of these works may not have been written by Hermann).